Inside I found a fantastic selection of products including a baseball chew, nobbly wobbly (still laughing at the name), crunchy chicken bites, bacon strip treats, collar LED lights and my favourite item of all, a hot dog squeaky toy. I quickly decided that Jazz would have the nobbly wobbly, as although he isn’t one to play fetch, he loves throwing balls around the house and garden! 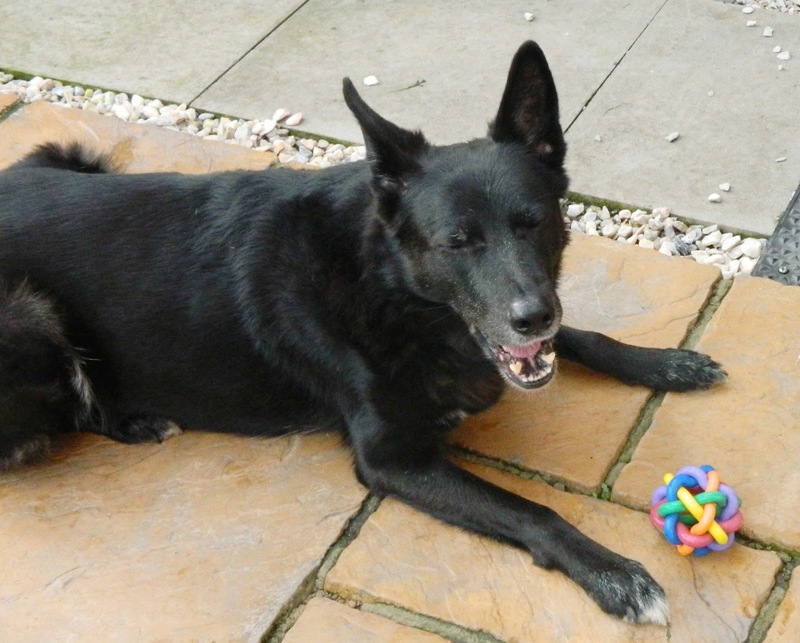 Oby, our rescue dog (read his story here) is a fan of squeaky toys, so the hot dog suited him to a T.
Although Jazz initially tried to bury the baseball chew in the garden, by the end of the day they had broken it up and shared it between them (they’re lovely like that). 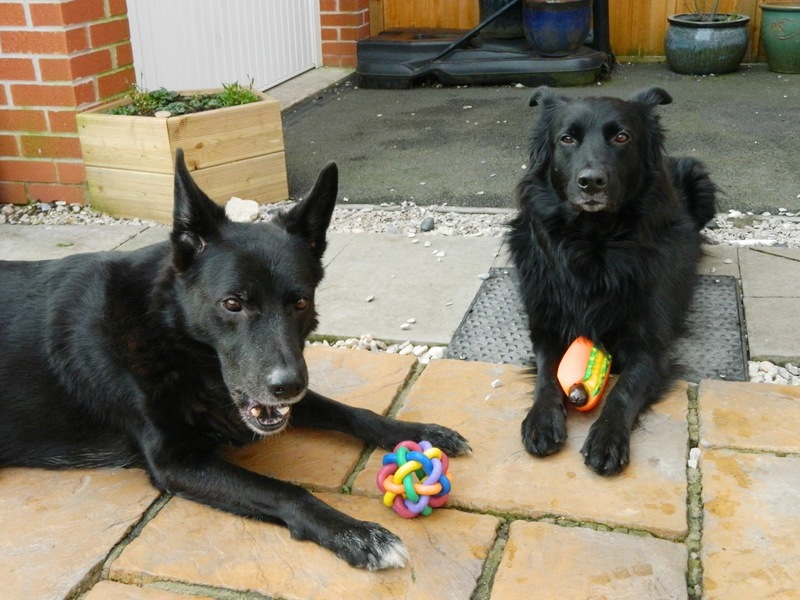 They’ve also been snacking on a couple of treats each day, which have definitely got the Jazz and Oby seal of approval. 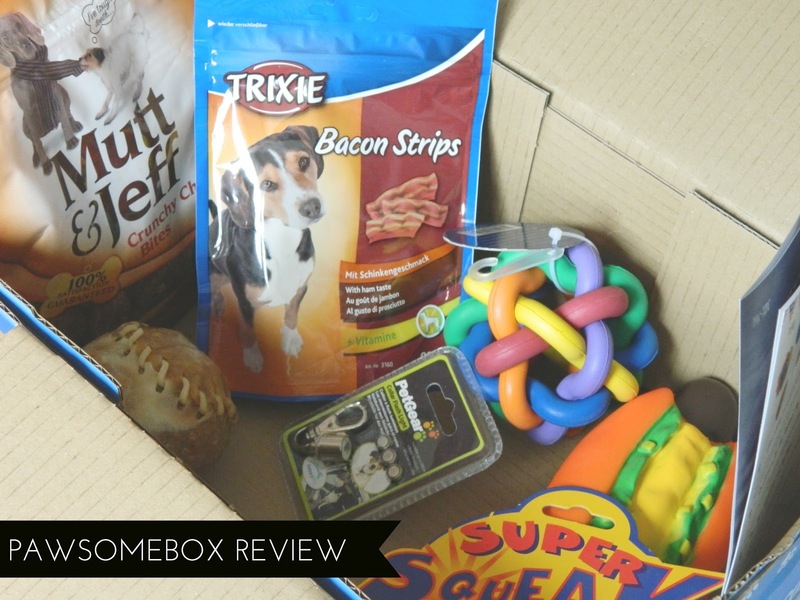 Speaking of the treats, what I like about Pawsomebox is that they only include ones that contain natural ingredients and are actually good for dogs. The toys are also of great quality and appear to be very durable. 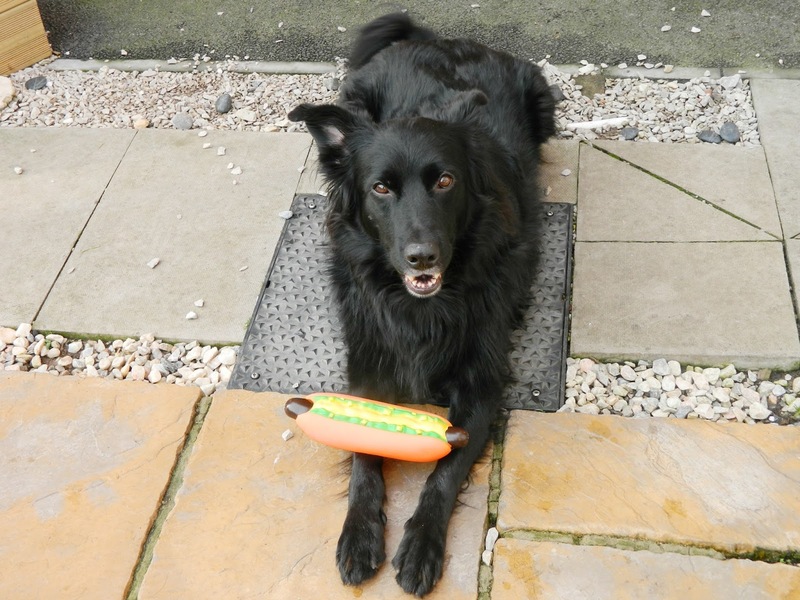 Oby & his hot dog toy - look at that grin! All in all, I think Pawsomebox is a great idea and I’m sure other dog owners out there will think so too! For the price of £15.90 a month (yearly subscription) you receive the equivalent of £30.00 worth of products. There are also other subscription options, which you can see here. Whether you buy one for your dog each month or just for special occasions, it will make a ‘Pawsome’ (see what I did there) gift. More of a cat person? Don’t worry, there’s also a Purrfectbox too, which Thomas has definitely got his eye on. *This item was sent to Jazz & Oby in exchange for an honest review.